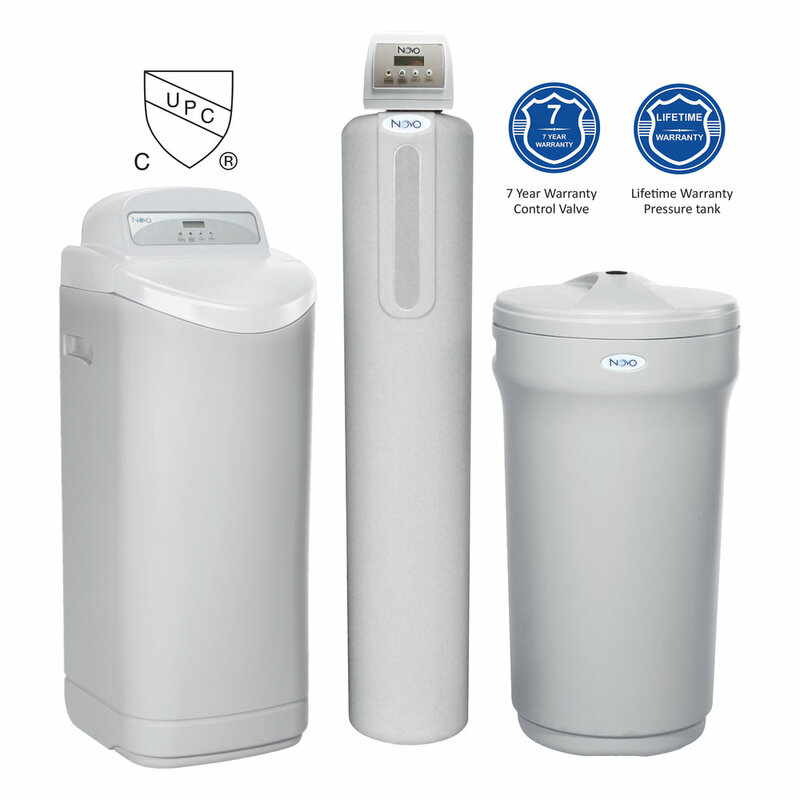 Uses 75% less salt and 64% less water than traditional softeners! Novo’s premier high-efficiency softener sets the new standard for high performance while offering more features designed to make installations faster & easier than ever! Traditional "downflow" softeners deplete the unused portion of the resin bed with every regeneration. It is like draining the gas tank in your car before you fill it up! "Reverse Flow Regen" drives the hardness minerals up through the already depleted resin and out to the drain - saving both salt and the unused portion of the resin for future use. Precision brining saves additional salt by pre-making only 70% of the brine. Just before regeneration, the computer calculates the precise amount of brine top-up needed to regenerate only the depleted resin saving up to 30% more salt.